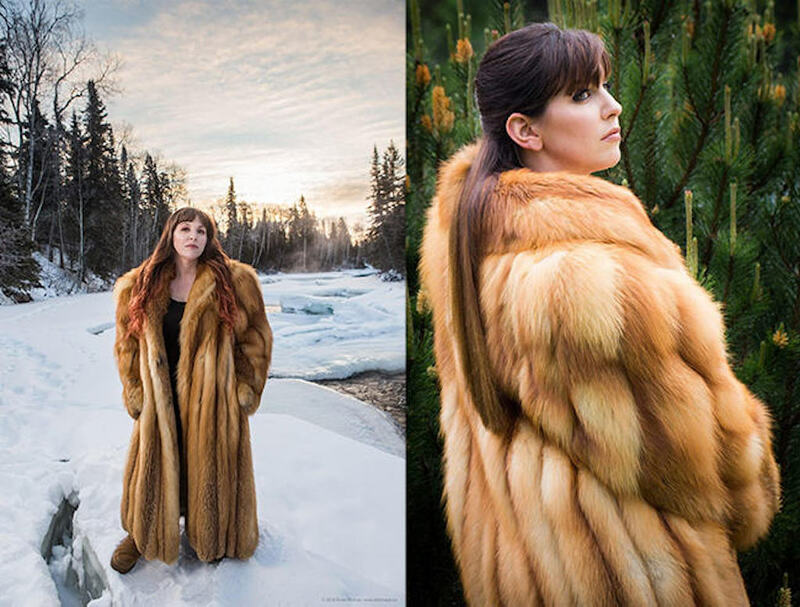 Katie Ball is a trapper and fur designer from Thunder Bay, Ontario. “I was gifted my mother’s fur coat, as so many have, when she was no longer wearing it,” recalls Katie. “This coat has much meaning to me. For one, my father trapped each red fox to make it. All 27 came from his trap line, and I remember being there while he collected some of these specific pelts. “I am now the second trapper of this line, and I spend even more time with him on this land. “But this isn’t the only reason why this coat is special; I was able to watch the skillful hands of Pirie create this coat from the ground up, for my mother. This is where the love of fur fashion spawned from for me at such a young age. “I modeled for over 10 years but wanted to get into fashion and create my own items. Fur became that medium. I now own and run Silver Cedar Studio, creating items with furs from our trapline as well as others. For an interview with Katie, read Here come the girls, by Mariana Cutino Moguel, June 1, 2018.